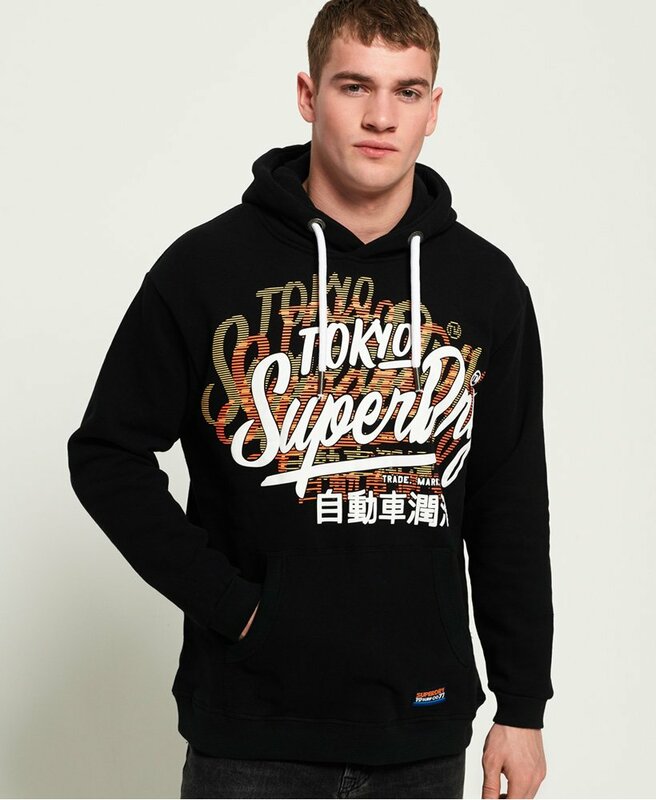 Superdry men's Ticket Type oversized hoodie. This oversized hoodie features a super soft lining, large front pouch pocket and a crossover drawstring adjustable hood. Finished with a large textured Superdry logo graphic across the chest and a Superdry logo badge above the hem. The loose fit of this oversized hoodie makes it perfect for relaxed dressing.